At Solbjerg Plads, Zoltán Tasnádi is looking at the ceiling. Turning his head backward, spinning around really slowly while looking in different directions. The ceiling at Solbjerg Plads is nothing special as most would know, and it is in fact, not what he’s looking at. Zoltán Tasnádi is wearing a pair of VR-glasses which is simulating parts of his thesis in light design. 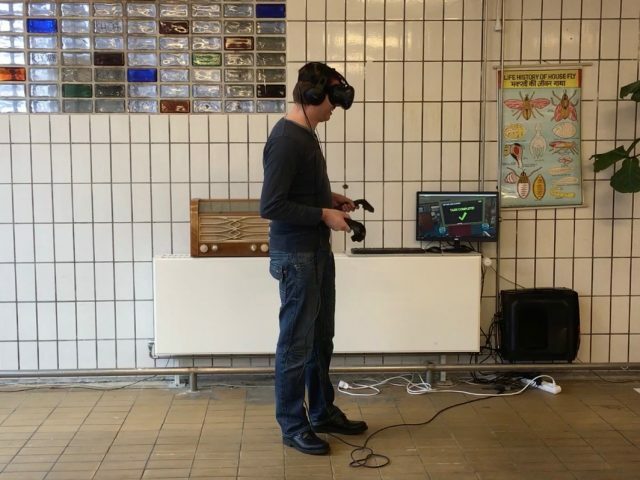 The VR experience lets his teacher and censor see how he pictures the application of his thesis in Albertslund, where he has been working with the use of different sort of street lights. He has come to CBS to test his project on by passers and record their reaction to it on video so that he can show it to his teacher at the exam. And in genera, people seem to like his presentation. 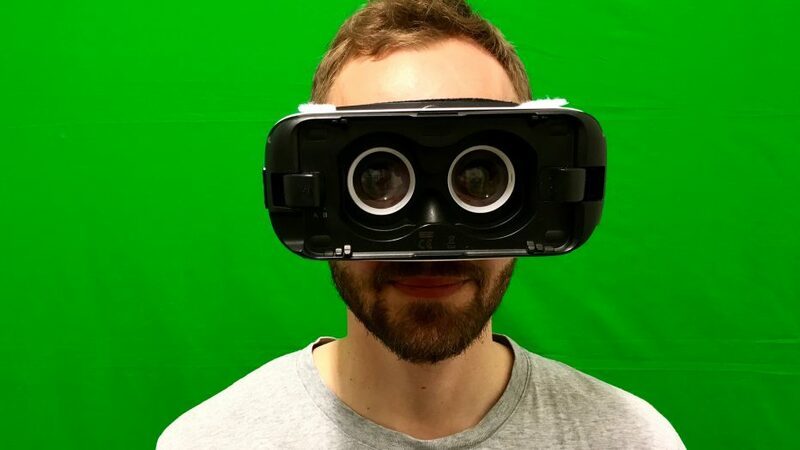 “Using VR is so much fun, and it’s a more comprehensive way to show your ideas to companies, teachers or locals, since I can create whatever environment I like. 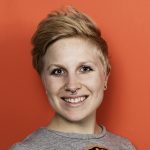 It’s way more persuasive and easier to make people understand your ideas,” says Zoltán Tasnádi, who recently finished his Master in Light Design at Aalborg University. I stumbled upon the saying 'never stop exploring', which I felt pretty much covers the VR experience. VR is widely used in business and entertainment, and now, slowly it is finding its way into universities. The medical educations for instance, is using VR to teach anatomy and lets students explore the teeny tiny universe of cells that binds us together, but where do we stand with business schools? This article is the third in a series that revolves around the theme of blended learning and how the traditional schooling system is being challenged today. 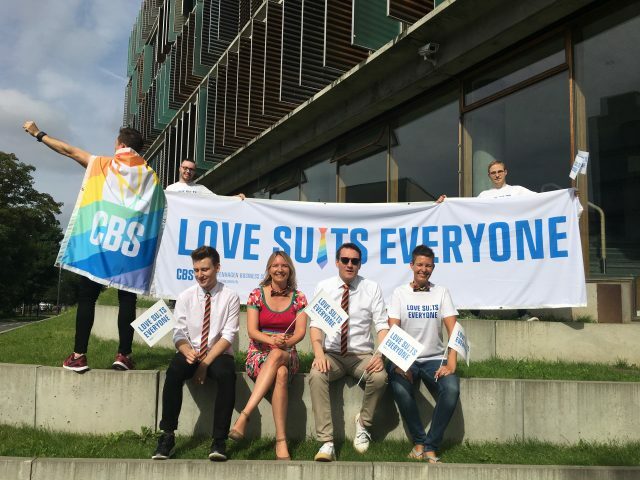 Is CBS truly a front runner amongst progressive and effective learning or is the institution threatened by the development of digital technologies and new methods of teaching? Is the new technology suitable at all for learning, teaching, and research at a higher level, or is it only certain industries, who gain from this fake reality? 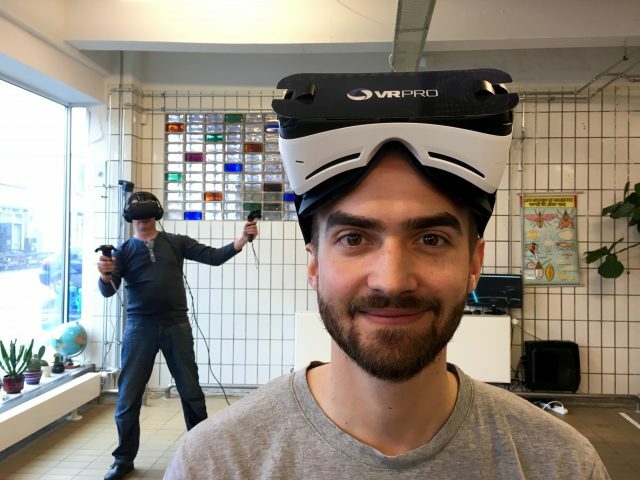 Simon Borrit, who finished his master’s degree in Creative Business Processes at CBS last year, fell for the possibilities of using VR when he wrote the last part of his thesis about creative rooms and their effect on people in group dynamics. “I got carried away when we did a perspective on how physical rooms can be substituted for virtual ones. The possibilities of a digital universe seemed never ending, and I was intrigued by what VR could do to one’s mind, body and actions. I stumbled upon the saying never stop exploring, which I felt much covered the VR experience. We, therefore, included the saying in our thesis and it’s been my mantra for work ever since ” he explains. Simon Borrit was so intrigued by VR after finishing his degree and felt that he had to explore it even more. Being part of an entrepreneurial environment gave him the courage to look into this instead of going the easy route of finding a steady job. He then ended up at Khora the biggest VR company in Denmark, working with everything from art, healthcare, and games aimed at teaching kids. “I thought to myself, just do it. I’m not going to get rich from working with this, which is why I have a part time job on the side, but it feels so good to just work with my passion. It’s so much fun, and I keep learning something new,” he says and explains that he especially finds the process of trial and error interesting when working with VR. But it is not only Simon Borrit who is continuing to explore. Big businesses such as Google, Samsung, and Facebook are spending enormous amounts of money and time on developing and adjusting their products to be more VR adequate. Per example, Google now allows its users to measure their own living room whilst sitting in from of their laptops, and Facebook makes it possible for you to meet up with all your friends in virtual rooms by using a custom-made avatar. With the VR devices becoming more accessible in both size and price, the technology is vastly becoming a more frequent element in our surrounding society. “Technology is developing at such rapid speeds and everyone wants to join in and gain the most from it. Virtual Reality is just the newest trend on the market,” says Simon Borrit. Teaching in a fake reality? Where does this leave the question of education and VR? Because shouldn’t universities also keep exploring? The quest for knowledge is consistent, so why hasn’t CBS already started using this new technology? So far, CBS hasn’t any plans for introducing VR, but according to Jakob Ravn it is something they keep an eye on. 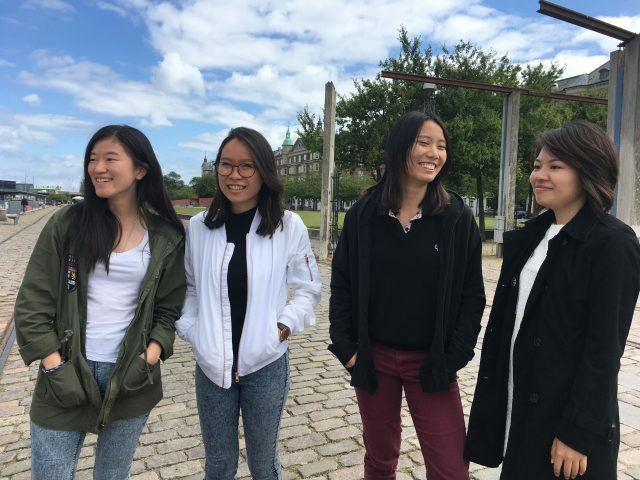 Especially, universities such as MIT and Harvard, which have the financial resources to try out new technologies within a teaching setting, and they are more than happy to share their experiences with other schools. And it might be like this for quite a while, where VR is only for the few, argues Simon Borrit. 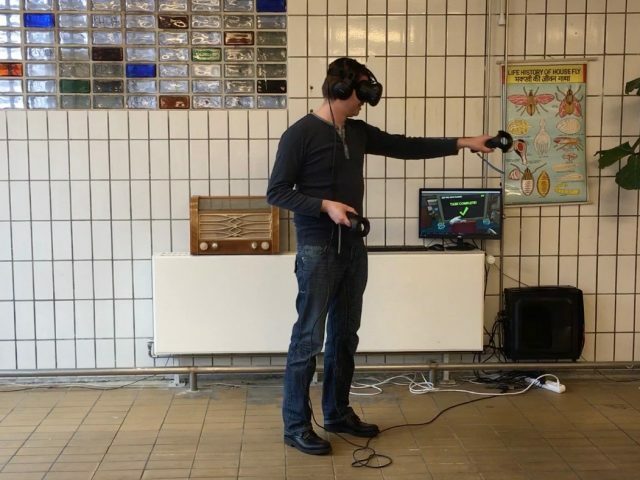 Jakob Ravn agrees that implementing VR in a useful way, along with the question of resources, are among the main challenges. ”The biggest challenges in regards to implementing VR within teaching is the pedagogical fantasy. How should we make use of VR to gain the most learning wise? And then there’s the thing about money. 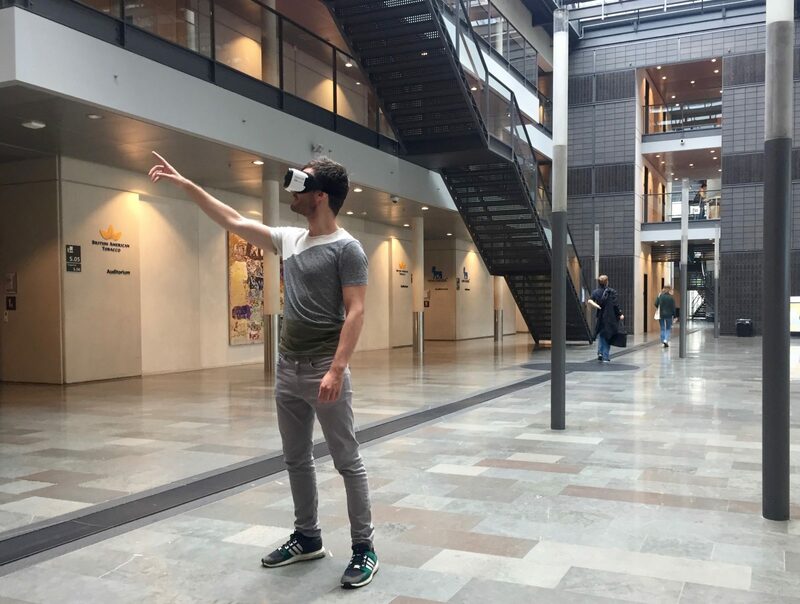 VR is still relatively expensive if you want to make it fit for a big university like CBS, but we follow the development with great interest,” says Jakob Ravn, who is in charge of implementing new teaching methods at CBS. 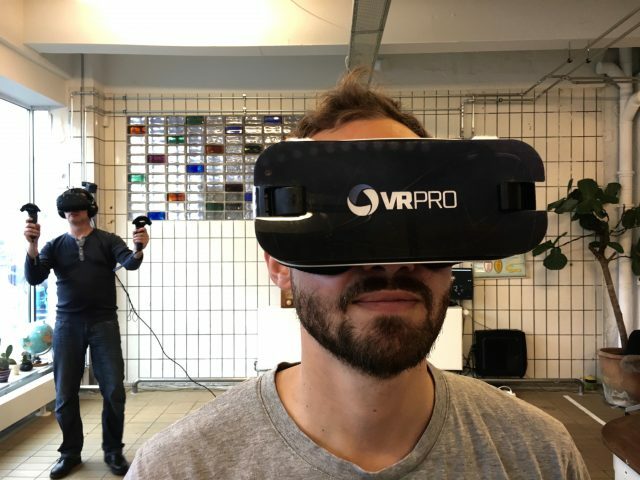 Even though Simon Borrit has his doubts whether the teachers in higher education will be ready to make use of the technology, he is not at all in doubt that VR has potential in terms of learning. Though with the pace of the technological evolution and the increase in software development across the globe, it’s not unlikely that the needed VR programs are a reality within the near future. “You can see how the flight simulator today, is a vital part of modern day pilot training, so I wouldn’t be surprised if we, within the next few years start seeing technologies like VR becoming permanently implemented in a wider range of educations. We just have to develop the needed programs,“ concludes Simon Borrit. 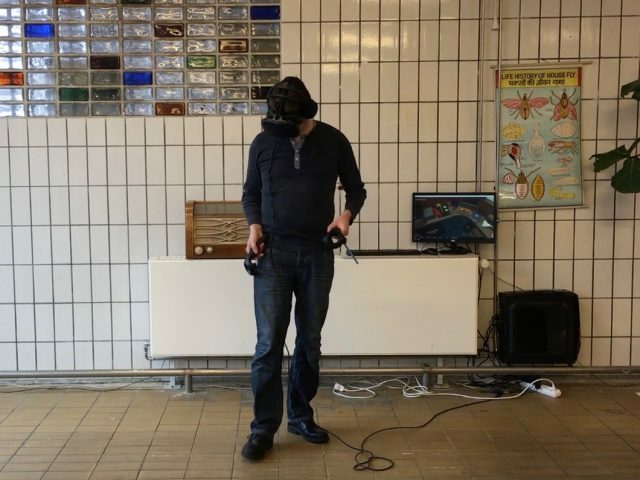 Zoltán Tasnádi, from Aalborg University, was already introduced to VR-technology during his second semester of his Master and explains that it’s a technology that Aalborg University encourages their students to make use of in different projects. “In general, I think VR is becoming more and more popular and wide spread, so I wouldn’t be surprised if it became a standard for showcasing, instead of static 2D visualizations,” he says. So, with its innovative and positive approach to learning, it seems like the education system can’t avoid the VR movement much longer. Creating real knowledge from a fake reality might be just what higher education needs in 2017.